These set of two sparkling floating candles are perfect for any occasion. Light them to brighten the space around you. Candles molded in the form of a heart are a very innovative concept. 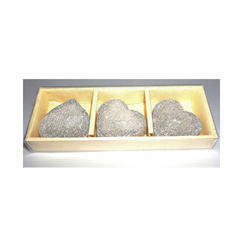 These are available in various designs with a single or a double heart structure. We hold expertise in offering a wide collection of Heart Candles that find huge demand amongst our clients. When you light the Full Heart candle, it gives pleasing ouder when the wick reaches the hearts crafted. This candle is suitable for various entertainment and mood sites, such as banquet, lighting party, birthday party, anniversary, valentine's day etc. 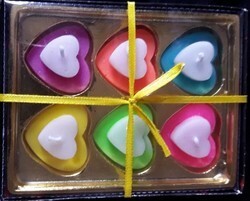 Birthday Heart Candle comes in a pack of 6 pieces. The candle is imprinted with a ‘Happy Birthday message. We are offering LED Candle Heart to our customers.